Hurtigruten has invested in a new expedition ship, the first time such an investment has been made for nearly 10 years. 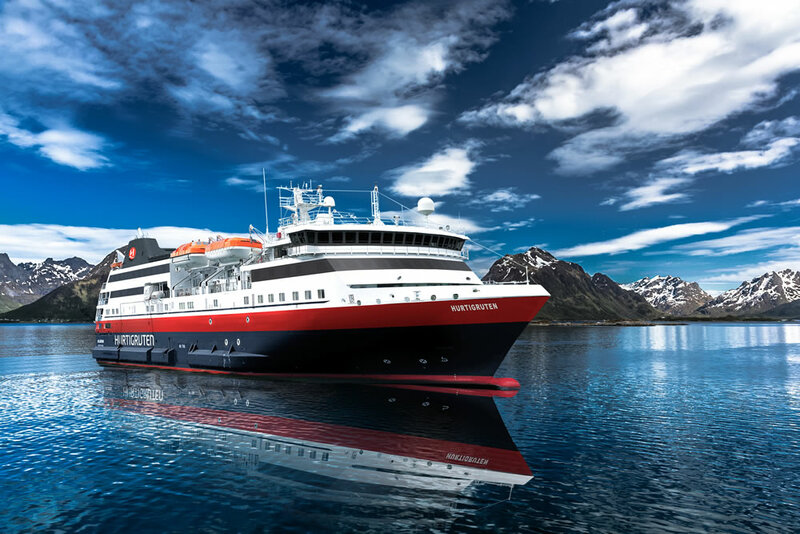 This investment takes the Hurtigruten fleet up to a total of 13 vessels. The ship, formerly a car ferry named MS Atlantida, was built by Estaleiros Navais de Viana do Castelo (ENVC), Portugal, in 2009 and has been given the temporary name MS Norway Explorer by Hurtigruten. She will replace MS Midnatsol sailing along the Norwegian coast, when it sails to join MS Fram in Antarctica for the winter season of 2016/2017. The 7,025 gross ton MS Norway Explorer has 180 berths and a capacity of 320 guests. It spans 97.53 metres in length, 18 metres in width and has a draft of five metres. The diesel-electric ship has a modern and fuel-efficient propulsion system with two 360 Azimut thrusters, making it very manoeuvrable. This opens up opportunities for Hurtigruten to expand their service and offers at destinations such as Greenland, Svalbard and Antarctica. This week the ship will sail from Portugal to Scandinavian waters where she will undergo a total reconstruction. She will be specially adapted for sailing in polar waters and engineers will also make further adjustments to reduce fuel consumption and emissions. The guest area will consist of comfortable cabins and common areas that make the most of the spectacular surrounding scenery. The name of the vessel may change once the renovation works have been completed. A date of when that is expected to happen has not been released by the company.